After 5 consecutive quarters of price surge, private home prices in Singapore witnessed its first decline in 4Q2018 – although it’s just by a mere 0.1%. 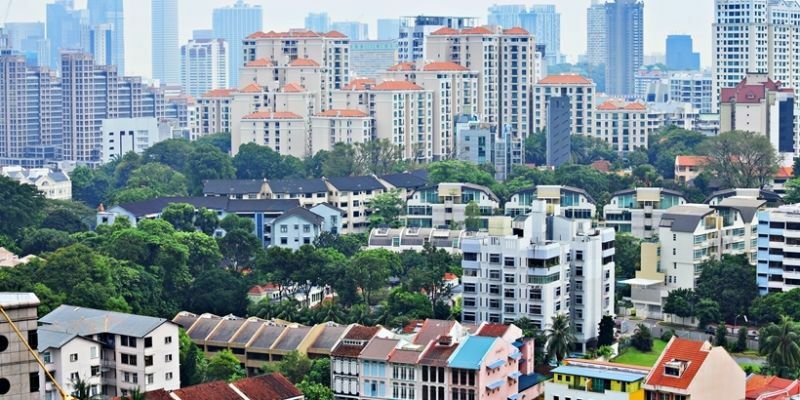 Throughout the entire year of 2018, Singapore property prices (for the residential segment) surged by 7.9 percent year-on-year as compared to the 1.1 percent year-on-year recorded back in 2017. It was noted that both the landed and non-land properties have risen by 6.3 percent and 8.3 percent respectively for the whole of 2018. However, prices of landed properties in Singapore are still 9.1 percent below their previous peak attained in 2013. According to property consultants, the 2018 surge in property prices was likely contributed mostly by the sales numbers from the first half of the year. It was when many new launch condo units were sold at prices which are relatively high due to the buoyancy spurred from the collective sales market. In addition, the growth in property price from last year was also driven by the pent-up demand for private residential properties, alluring new launches and a positive outlook for Singapore’s economy. However, analysts do not expect prices of private properties in Singapore to continue rising rapidly in view of the new cooling measures introduced last July. Looking at properties in the core central region (CCR), prices fell by 1 percent quarter-on-quarter in 4Q2018 as compared to the 1.3 percent increase in 3Q2018. And despite the decline in prices within the CCR, prices from ready and completed luxury projects such as 8 St Thomas, New Futura and also South Beach Residences have all been holding up. In the 4th quarter of 2018 alone, 8 St Thomas sold a total of 22 units at an average price of $3,238 per square foot; New Futura sold a total of 11 units at an average psf price of $3,721 psf and 24 units were sold at South Beach Residences with a median psf price of $3,354 psf. On the contrary, private home prices in the Rest of Central Region (RCR) and Outside Central Region (OCR) have both surged by 1.8 percent and 0.7% quarter-on-quarter respectively in 4Q2018 and it was noted that prices in the OCR were very close to their previous peak in 3Q2013. These private home segments largely benefitted from the successful launch of new homes in the area such as Parc Esta and Stirling Residences – which were both launched in November 2018 and July 2018 respectively. Out of the 450 units released for sale, Parc Esta has sold a total of 329 units at a median psf price of $1,680 and Stirling Residences, on the other hand, have also sold around 40 percent of its 1,399 units to date. Analysts expect the home prices in the RCR to surge by around 3 percent this year on the back of some expected new launches. It was reported that there will be more than 60 projects to be launched in 2019 alone. As for the OCR, they believe prices will remain flat throughout the year due to the larger supply of new homes in the pipeline, such as Treasure at Tampines by Sim Lian (2,225 units) and The Florence Residences by Logan Property (1,410 units). As for the resale private home segment, it has accounted for more than half of the total number of transactions recorded in 4Q2018 (at 51.1 percent), rising from the 46.3 percent in 3Q2018. However, the whole of 2018 saw a drop in volume for resale transactions as compared to 2017 – a total of 13,009 private resale homes were sold in 2018 and 14,043 were sold in 2017.